Labels communicate many messages: the brand promise, the product description, the manufacturer, instructions. Today, they command a share of about 20 percent1 worldwide in the sector of packaging print. The worldwide demand is currently growing at about 4.5 per cent2 per year and, in 2012, was at about 49.2 billion square meters. The share of labels printed in sheet-fed offset is currently growing quite strongly. Whereas the growth rate in the period from 2006 to 2010 was “only” 12 per cent3, it is expected that the print volume of this technology will grow by 65 per cent 4 from 2010 to 2016. There is still great potential in this market sector for many print shops. The sheetfed offset printing completely fulfils the requirements of the producers in terms of quality, productivity, flexibility and sustainability. 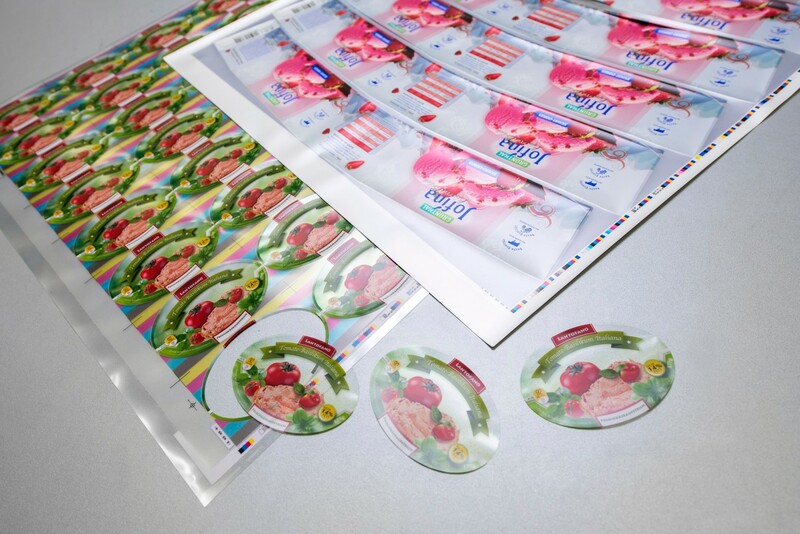 The commercial production of wet-glue and in-mould labels requires modern pre-press technologies, the use of different printing processes and finishing processes with a high degree of automation. For the professional production of wet-glue and in-mould labels, Heidelberg offers you the right products for the optimization of your production.